Call Giorgio A. Tsoukalos to the scene, because it sounds like aliens! 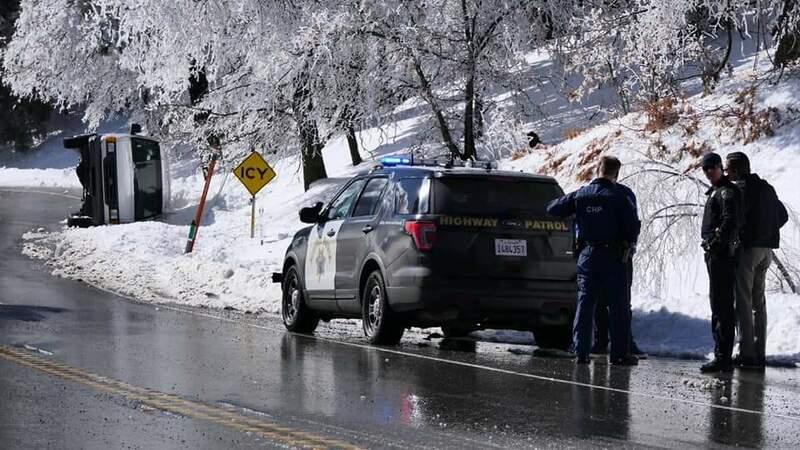 On February 6, a van driver on Highway 18 in California inexplicably flipped his vehicle, and told emergency responders that extraterrestrials had caused the accident. 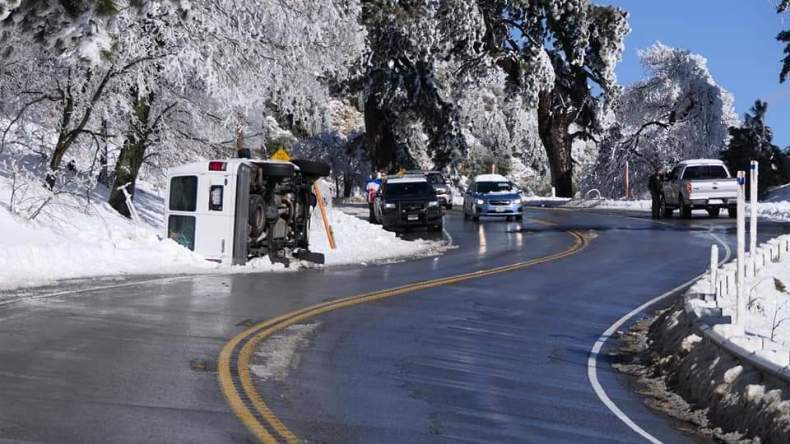 While driving through a mountainous section of San Bernardino around 1:30 pm, the Ford E350 van overturned and landed on its side next to the roadway. The driver alerted 911, and adamantly told dispatchers that aliens had flipped over the vehicle. When law enforcement arrived, the man become argumentative with the officers, as well as other drivers who had stopped to offer assistance. He changed his mind about police help, insisting instead that a tow truck be called. Although the man was driving on a snowy swath of road with “Icy” signs posted in warning, the cause of the single-vehicle accident is still under investigation, and he was not cited with any kind of impaired driving offense. Though it is an unusual story, it probably has a reasonable explanation which is not aliens, but while the case is still open we aren’t saying that it’s not not aliens either! 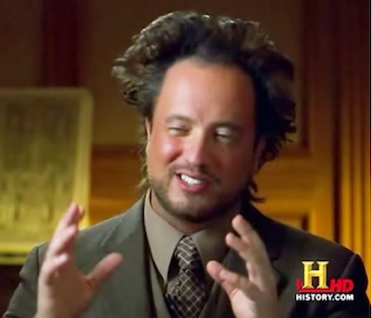 In the world of memes, there may be none whose hair lives in greater infamy than that of Giorgio A. Tsoukalos, better known as "that Ancient Aliens guy!" It’s no surprise, then, that a (probably) limitless number of Tsoukalos’ Ancient Aliens memes abound across the universe - I mean internet. 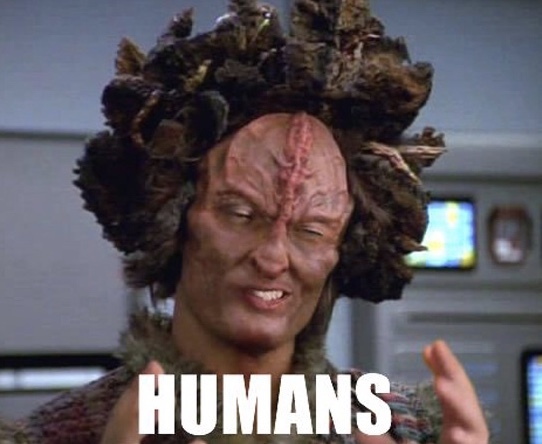 As an homage to aliens, memes, Tsoukalos, and his hair, we’ve compiled 12 of the best Ancient Aliens-inspired memes for you to enjoy! 12. Conspiracy Keanu asks the tough questions. Cheeseburgers, delicious on any planet. 9. When you hail from the southern hemisphere of space. 8. Where are all these Targets coming from?! 7. On a multiple choice test, the most common answer is usually ALIENS. 6. The X-Files was an excellent documentary. 5. I mean, it has to go SOMEWHERE. 2. Don’t text and navigate through interstellar space. 1. The one, the only: the original meme that launched a thousand pics. 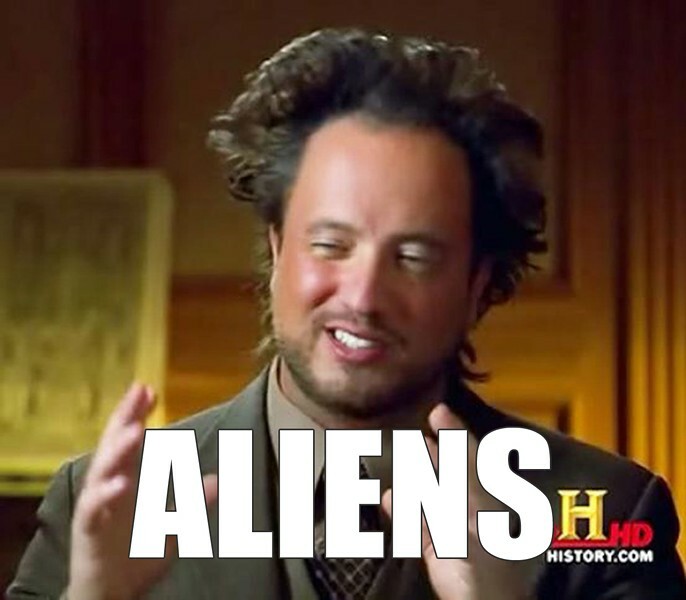 If you want to get in on the fun, you can create your own Ancient Aliens meme with the Ancient Aliens Meme Generator! Which of the many Ancient Aliens memes is your favorite? Leave us a comment!